Looking to treat yourself with the perfect meal? Café Sia Gawler has you covered with its wide menu range. You can get anything from seafood to pizza, to dessert, and is open all day for breakfast lunch and dinner. 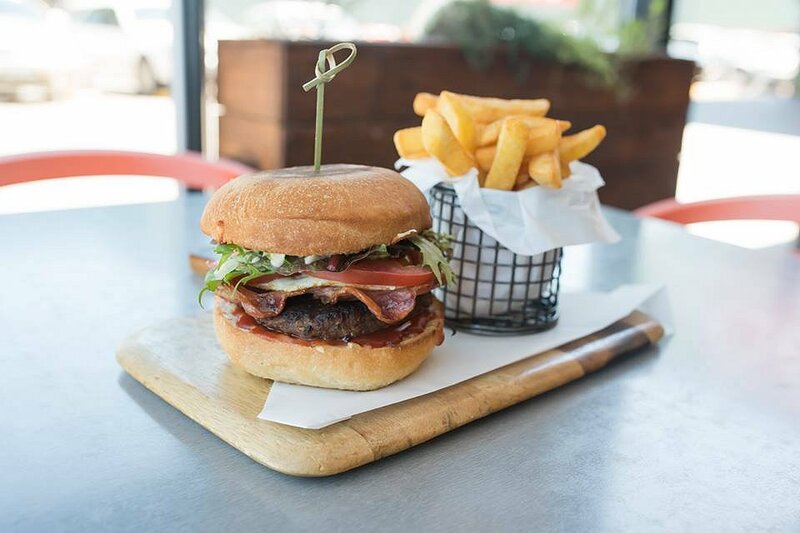 Situated in the Gawler Green shopping centre, the family owned and operated cafe is beautifully decorated with all modern styling and has the option of both indoor and outdoor seating to suit all customers’ needs. 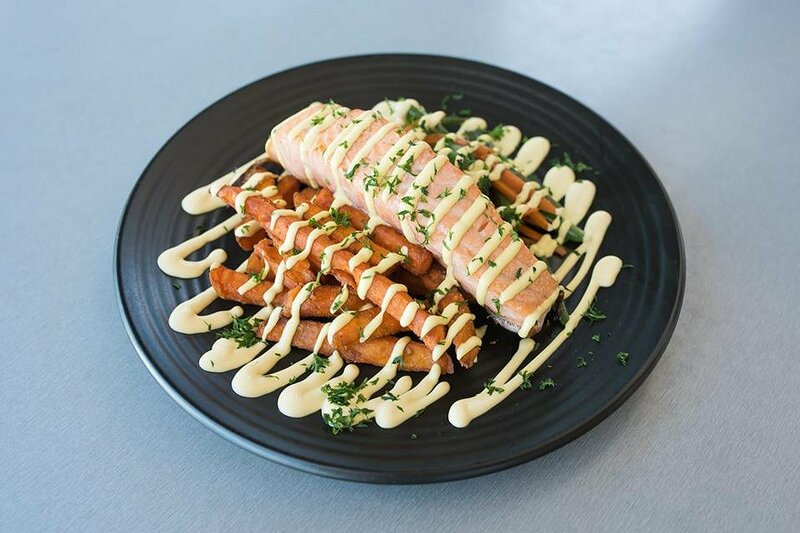 On top of Café Sia Gawler’s wide range of food on their fixed menu, they also have weekly specials and promotion days such as all you can eat Monday’s and Steak Tuesdays, all with the option of dine in or takeaway. On our visit, we were luckily enough to taste twelve of Café Sia Gawler’s dishes, including staters, mains and desserts. For starters, we had the Halloumi Cheese and Barossa Chorizo. This dish was really light even with the cheese and chorizo combination. 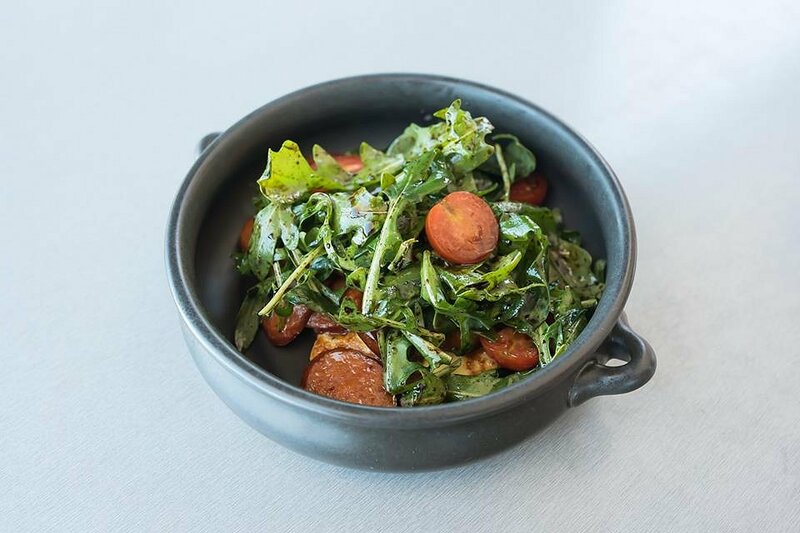 The smokiness of the Chorizo added a powerful tone to the dish but paired perfectly with the earthiness of the cheese and the rocket. The olive oil tied the dish together, adding a sweet taste combining the flavours. This was the perfect dish to start the tasting; it was enough to get us very excited for what was to come. For the mains, we started with the Atlantic Salmon. This was oven baked to perfection with a slight smoky taste and crispy skin that was divine. The salmon was paired with sweet potato fries, pan-fried vegetables topped with a hollandaise sauce. The beans and carrots added a refreshing note to the fish and combined well with the sauce. The overall plating was beautiful with the salmon resting in the middle of the vegetables and drizzled over with sauce. We then moved on to the Sia Gourmet Burger. It was hearty and quite well proportioned in size. The home-style beef patty was juicy and cooked perfectly. The Burger also contained lettuce, tomato, onion, a free-range egg, mozzarella cheese, short cut bacon, aioli and tomato sauce. The egg still had a runny yolk (which I love) and the bacon added a slight smoky flavour to the meal, which paired superbly with the beef. The Burger was also served with thick cut chips on the side. 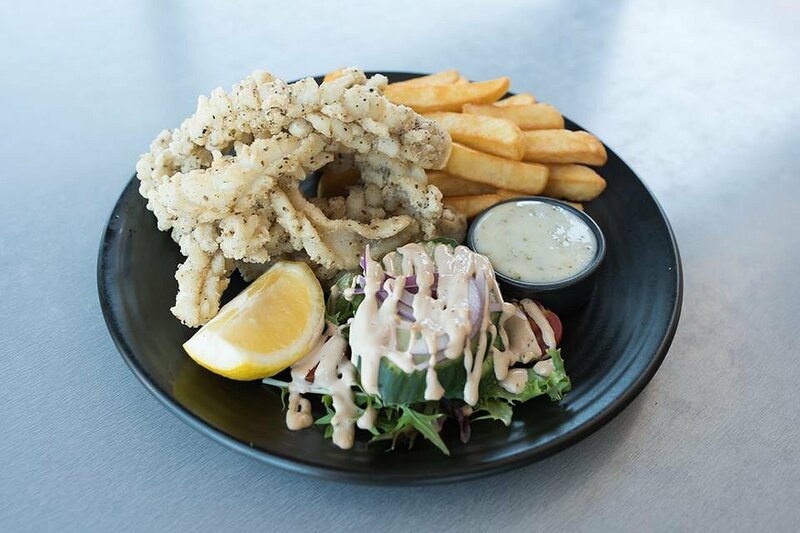 The Salt and Pepper Squid, which is also gluten free, was served with thick cut chips, salad and a homemade Sia tartare sauce. The squid was cooked well and was perfectly seasoned which left a nice tang of pepper in your mouth. The portion sizes were also generous and evenly sized. There was a lovely mix of seasoning with the batter and the homemade tartare sauce was smooth and paired well with the squid. The Sia Supreme Pizza was next up to the tasting palette. 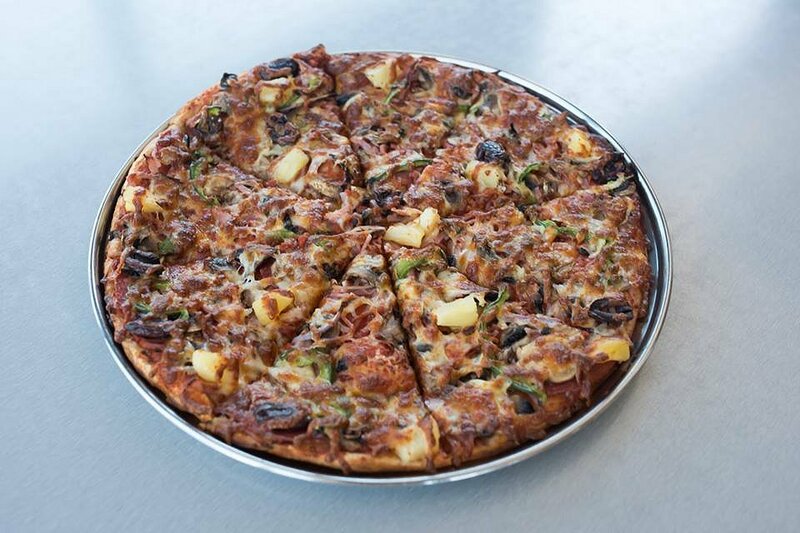 Its toppings included Tomatoes, mozzarella cheese, Virginian ham, salami, mushrooms, onion, capsicum, pineapple and Kalamata olives. The pizza had a thin consistency with generous toppings covering the whole pizza so you got a mix of flavours in every bite. The pineapple on the pizza added a tone of sweetness, which paired with the tang of the capsicum and the saltiness of the olives. The Pollo Avocado is a pan-fried chicken breast with avocado, white wine and cream, sweet potato fries and broccoli. The presentation had a green hue, with the sauce and avocado topping on the chicken, which was tender and juicy. The avocado was the hero of this dish; with its creamy texture, it was the prefect pair with the chicken. The sweet potato fried also added a sweet element to the meal that is also gluten free. The Fettucine Carbonara was next to taste. 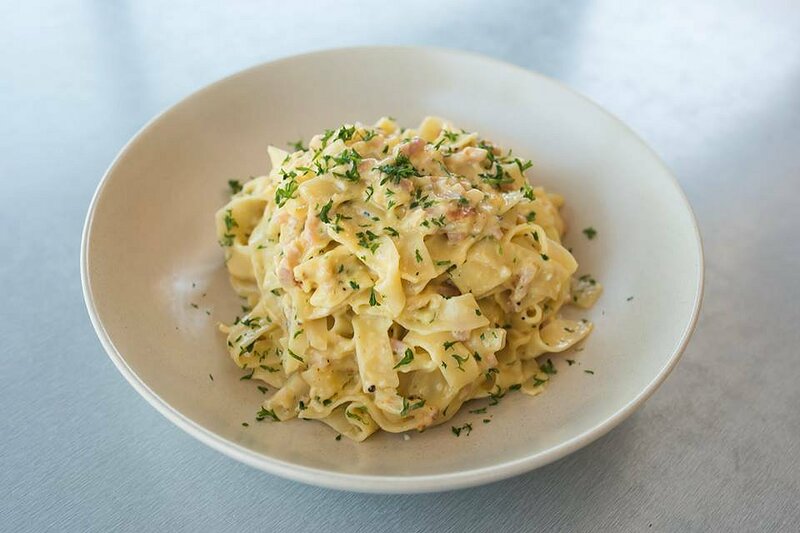 The thick cut pasta was paired with bacon, free range eggs, Parmesan cheese, cracked pepper in a creamy sauce. There was a very generous amount of pasta as well as cheese, which made for a very rich and creamy taste. This was complimented with bacon bits through out. 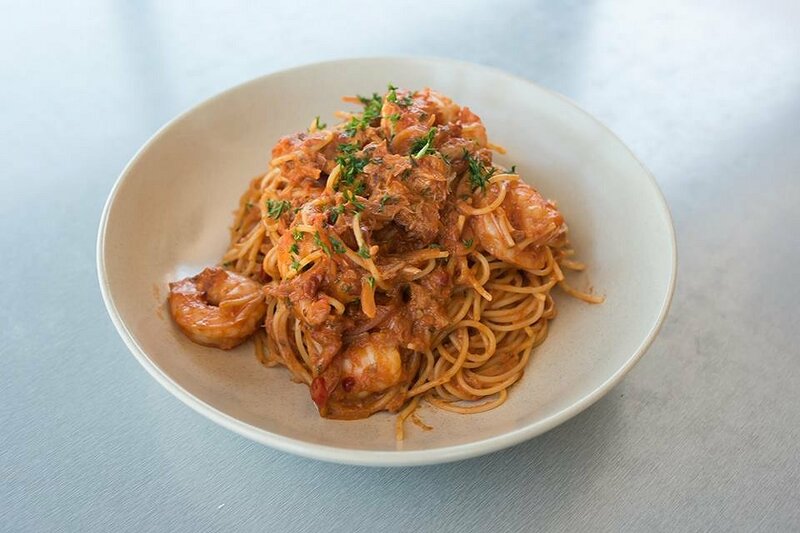 The last of our mains was the Spaghettini Chilli Con Mare which included Blue swimmer crab meat and prawns, pan fried with Spanish onion, fresh chilli, garlic and white wine in a rosé sauce. This is a dish for seafood lovers, with wonderfully cooked crab and a generous amount of prawns. The flavour combination was beautifully put together and the chilli gave a nice kick of spice at the end of each bite. Then came dessert. First up was the Rocky Road Dessert Pizza. 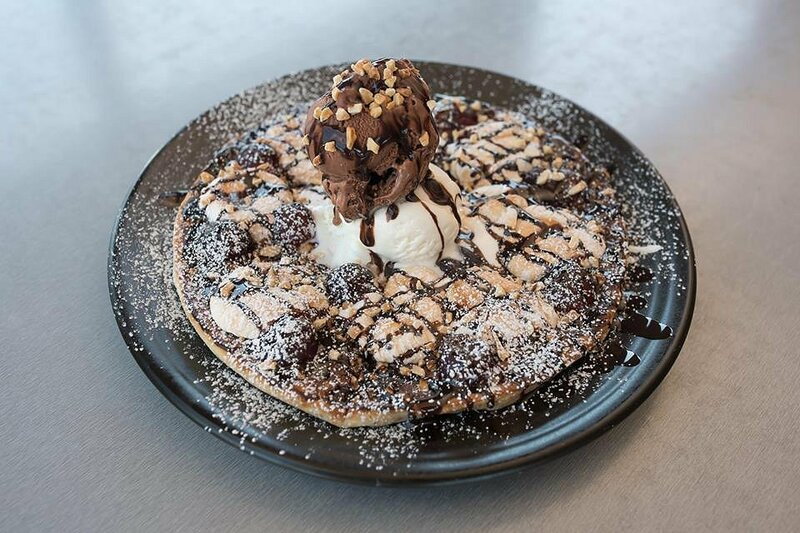 Made from fresh pizza dough and Nutella spread cooked to melt marshmallows and create gooey raspberry lollies, topped with crushed nuts, Gelati and chocolate fudge sauce. The Pizza was beautifully rich and decadent. The sweetness of the cherries was well combined with the generous amounts of Nutella spread. Next was the Ultimate Twix Shake. 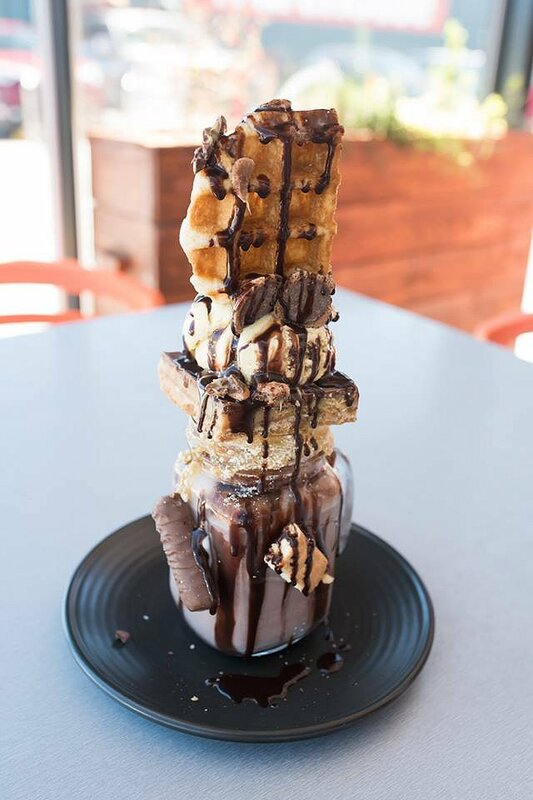 Found on their specials menu, this caramel and chocolate milkshake was topped with a twix slice, caramel gelati, a waffle shard, Twix bars and Pods, all covered in chocolate sauce. It was a very filling dessert with the milkshake, the waffle and slice combined. The overall dish was sweet but balanced well with the savoury biscuits and is definitely one for lovers of caramel Twix. We also tasted Sia’s Waffles. 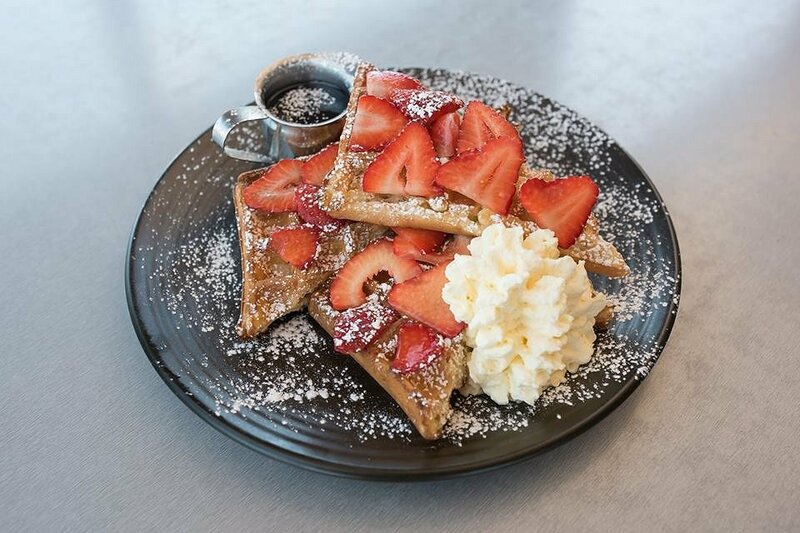 We received two stacks served with fresh cut strawberries, maple syrup and whipped cream. The plating was beautiful, the lightly brown waffles covered in the bright pink/red colour of the strawberries. My mouth was watering at the sight of it. The waffles were perfectly light and fluffy which paired well with the tartness of the strawberries and again with the cream and maple syrup. The last dish we tasted was the Mixed Berry Pancakes. 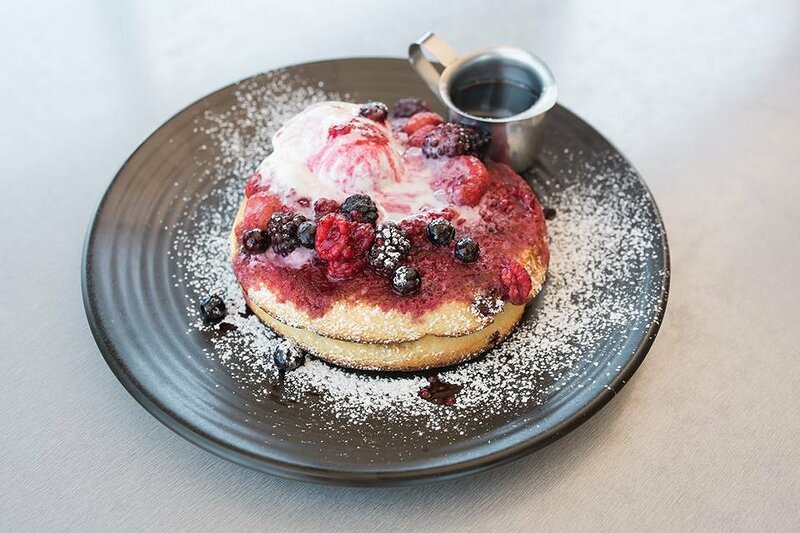 We got given two stacks of buttermilk pancakes filled with blueberries, blackberries and raspberries also topped with more fresh berries, maple syrup and vanilla gelati. The Pancakes were light, fluffy and perfectly round. They were so soft if felt almost as if they melted in your mouth and infused with the berries added a sweet tone to the sponge batter. The maple syrup is definitely recommended with this dish as it tied all the other flavours together to create a beautiful dish in looks and taste. Through tasting all the marvellous and wide range of food choices, you can see why Café Sia Gawler is such a popular place for people to eat their meals. 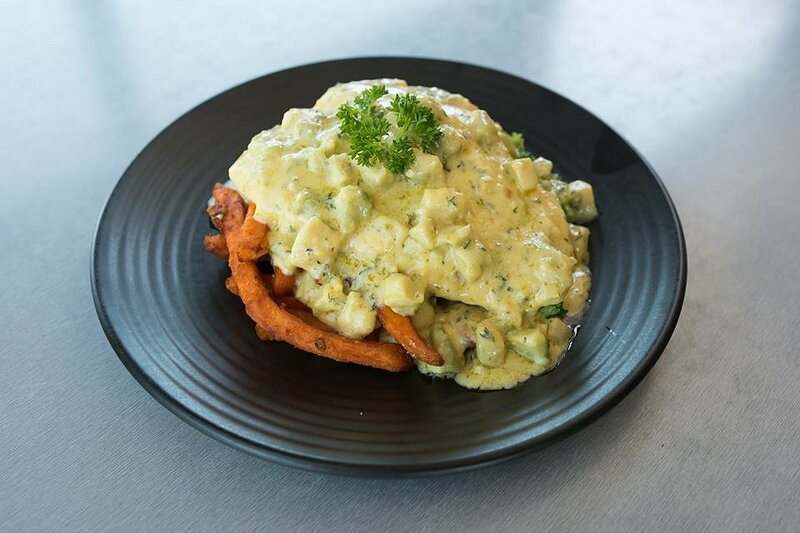 With their wonderful range of tasty meals to suit any eater, it is no wonder the family owned and operated restaurant won Restaurant and Catering Awards – South Australia’s Café of the Year in 2016, and Cafe Dining Regional in 2017. The only issue you will have if you attend is being unable to decide what to choose from their delicious menu! Overall the dishes were well dressed and were of a generous serving size. Through the beautiful flavours you can see all the effort put into making it the best experience customers can have.